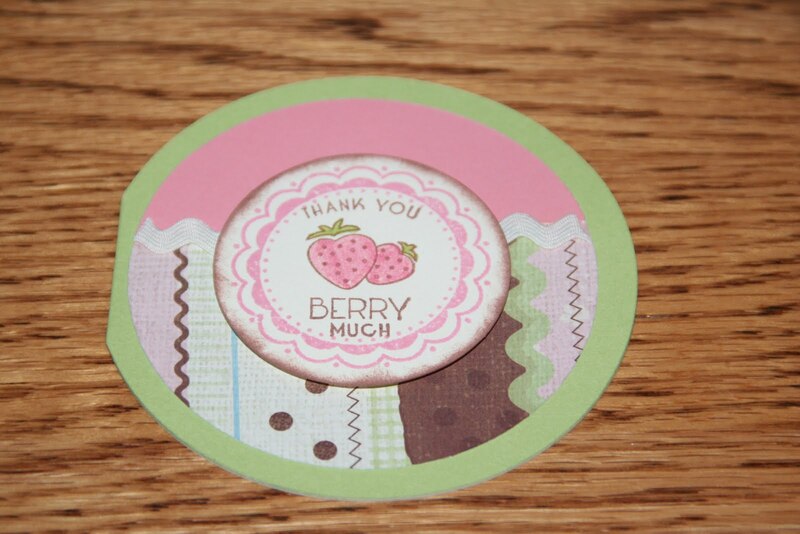 Here is a card I made using the paper from the new Cherry-O collection in the new Summer Idea Book. This book will go live to customers on May 1st. Contact me if you would like a copy of it. I think this paper pack just might be my favorite in the new book...of course, that always changes as I start creating with them all! I stepped way outside of my box and created a round card using a pattern out of the Wishes How-to Book. It really was so easy, I think I will have to make some more round cards! It's hard to see in the photo, but the center circle is popped up. I colored those cute little strawberries using our Exclusive Inks markers. So easy! 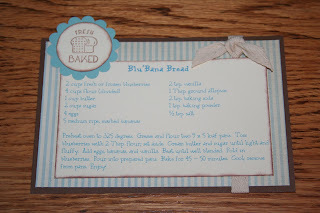 I've seen sneak peeks on other blogs as well, and the product looks great again! Your work, as always, is fabulous! 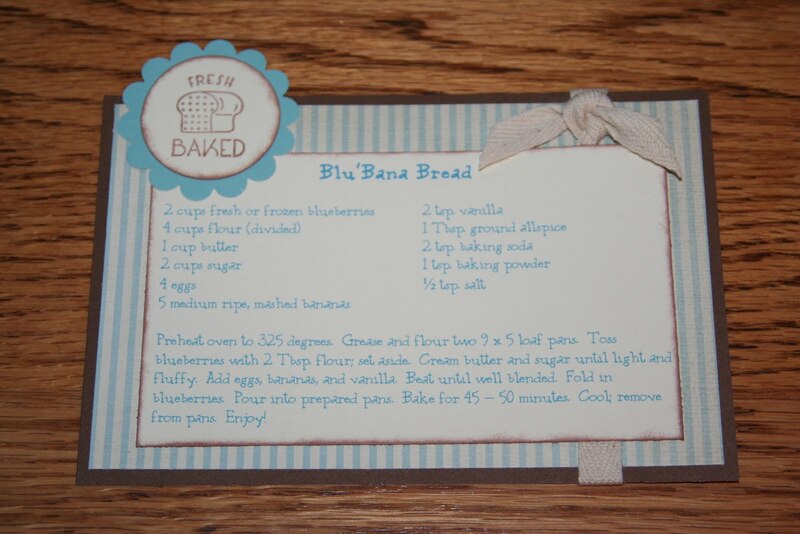 That Blu'nana Bread sure gets around!